We agree to differ; We resolve to love; We unite to serve. At CCOV all people, regardless of their age, gender, or religious affiliation are invited to the Lord’s table. Communion is served on the first Sunday of each month. 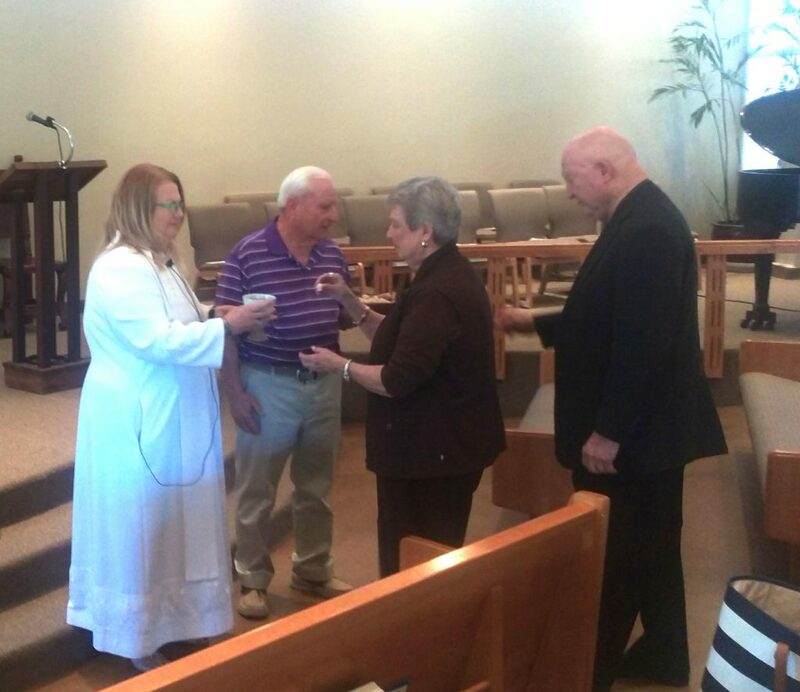 Most months, the congregation comes forward and takes communion by intinction, which means one dips a piece of bread or a gluten-free cracker into a cup of grape juice. If one is physically challenged, the servers take the elements to the pew. Occasionally Communion is served in the pews from trays.